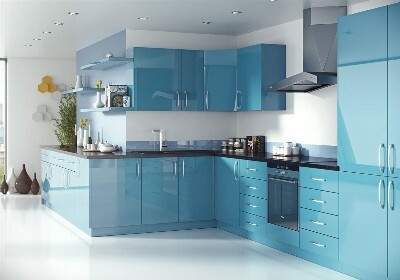 Replacement Kitchen Doors in Southend-On-Sea, make your kitchen look stunning again. A guide for the A Unique Choice ranges. 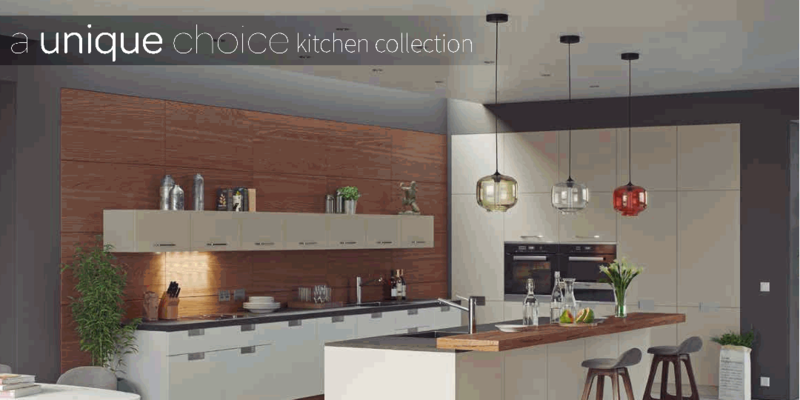 Here you will find the latest information for our comprehensive range of doors, drawers, worktops & fittings to help you create the perfect kitchen or bedroom. The Aspects range of PVC edged doors are all made to measure on site for use in kitchens, bedrooms, offices and virtually any furniture situation. They are extremely tough, hard wearing and durable. The Aspire door range covers every possible style and look you could ask for. 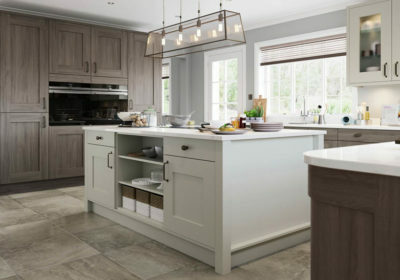 Everything from traditional Shaker and Cottage style doors to the contemporary Scoop and Grove styles combined with one of the many decors, there’s a door & decor combination to suit any kitchen, bedroom, bathroom or office. 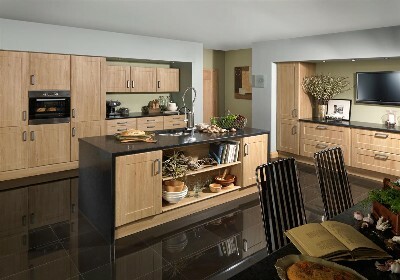 We can measure up, Supply or Fit Replacement Kitchen Doors. 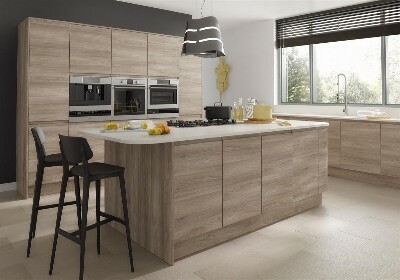 Transform Your Kitchen with our large collection of Kitchen doors, High Gloss, Vinyl Wrapped, Solid Wood, Wood Effect, Painted. Why not visit our kitchen sample room. 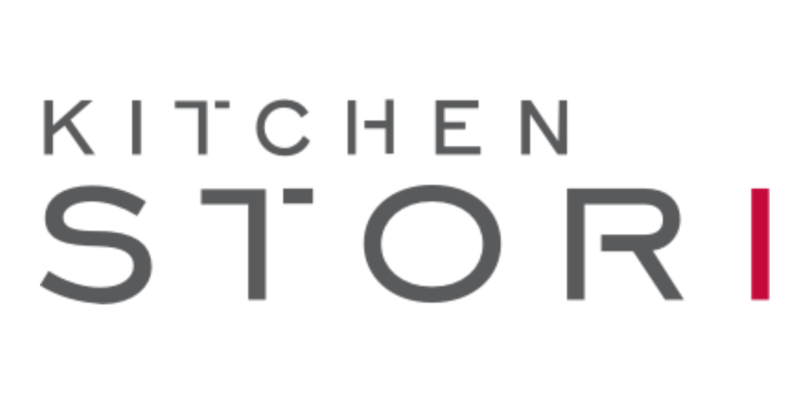 At Kitchen Stori, they place the customer at the forefront of everything they do. 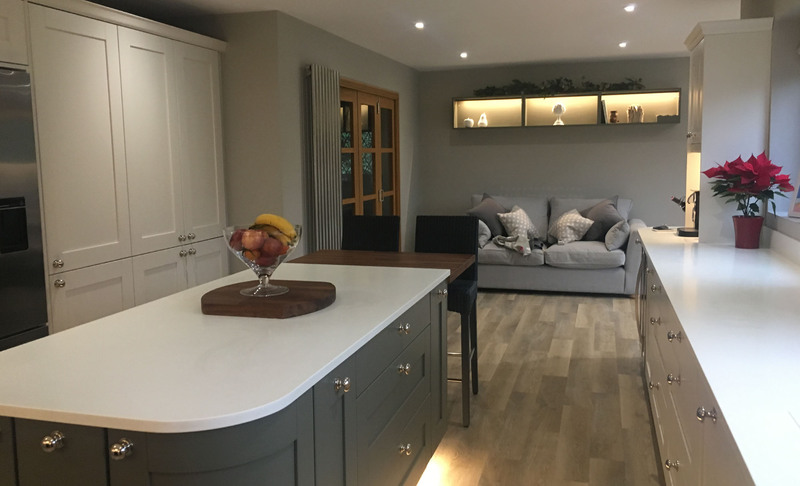 They endeavour to deliver high quality, aspirational kitchens to people’s homes through an approved network of professional retailers such as Apollo Kitchens. 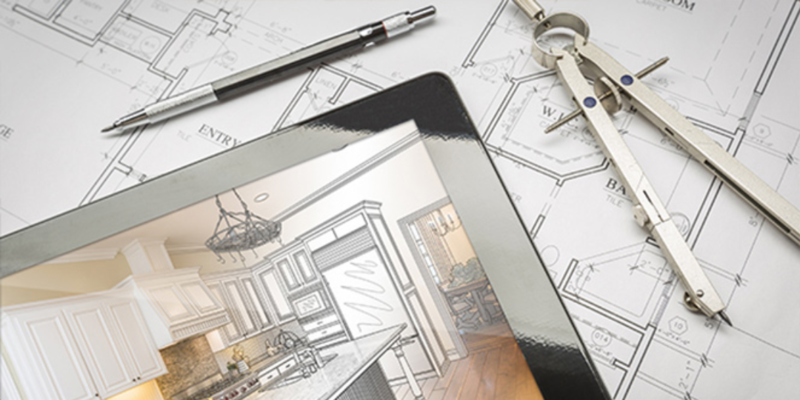 substance to your home with its ornately detailed inframe design and numerous accessories. 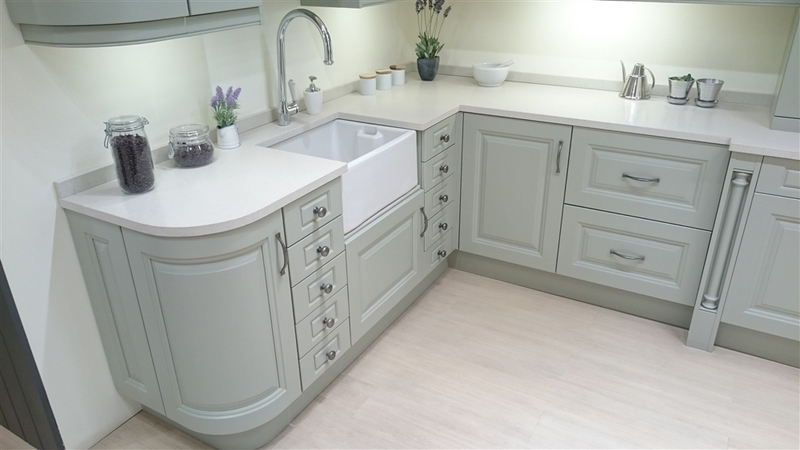 Featuring a superb quality painted finish with visible woodgrain you can combine any number of colours to achieve the look you desire. settings. 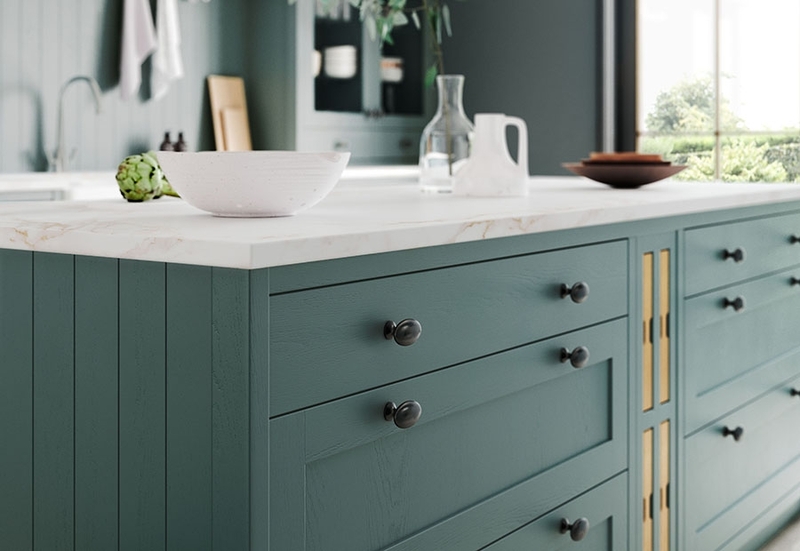 Characterised by its wide frame and deep profile, this chunky shaker-style door makes a robust statement with its formidable appearance. 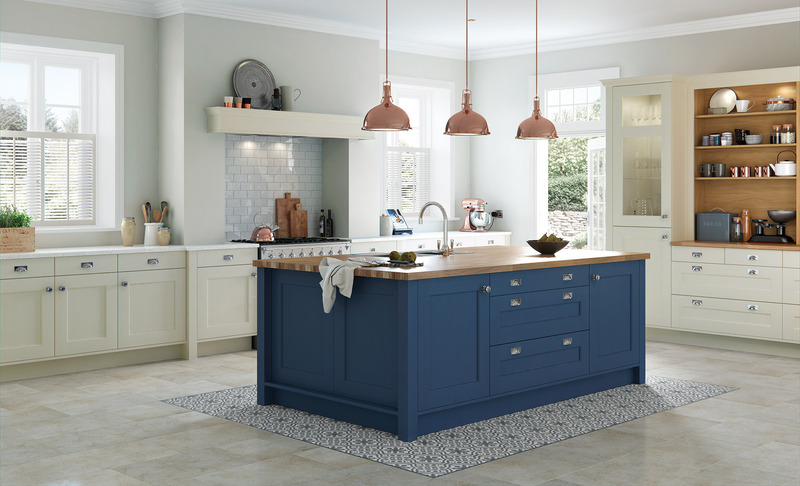 Whether you choose to have your kitchen painted, stained, or both, Clonmel is truly timeless and is enhanced by the inclusion of its many exclusive accessories. 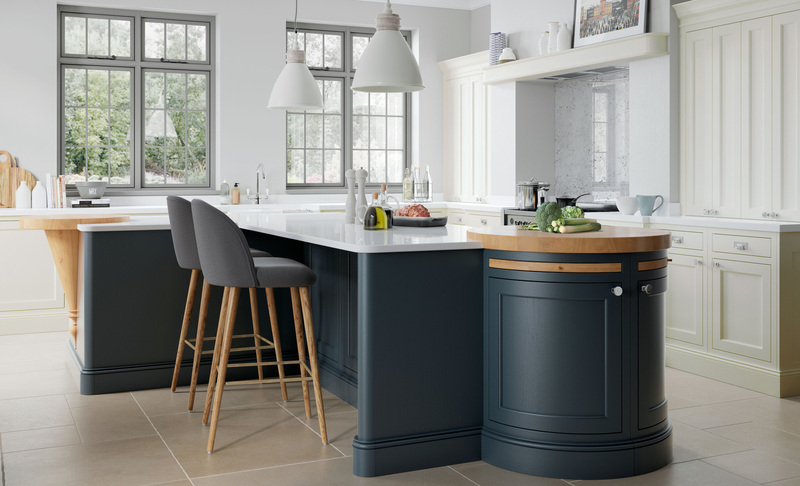 Offering a huge number of options when it comes to colour, the Georgia kitchen, featuring a shaker-style door with a smooth painted finish, is ideal for those who like to experiment! 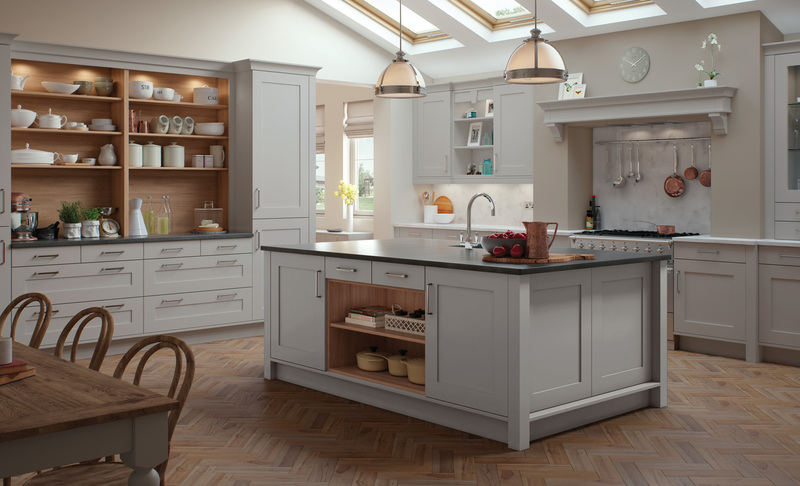 Include some feature components such as curved doors, a plate rack or classic overmantle to create the ultimate kitchen space. Effortlessly chic and stylish, the Madison shaker door with v-groove makes an impressive statement with its simple detailing and selection of accompanying designer accessories. The traditional Jefferson raised panel door demonstrates transitional flair by finding its place in a modern setting. White worktops, brick-styled wall tiles and a stainless steel extractor fan sit alongside a contrasting colour mix to show Jefferson’s diverse appeal.